Clarifying its position on the disruptions in both Houses of Parliament by its members, the Congress on Thursday said that it wants to see Parliament function but Prime Minister Narendra Modi's "raj hatt" (royal obstinacy) was making it impossible.The Congress has demanded that Modi apologise in Parliament for his allegations against former Prime Minister Manmohan Singh and others. "We want to see the House run. That is why, when the government offered to talk with us, we readily accepted it and participated in the proceedings on Tuesday. Even two bills were passed. 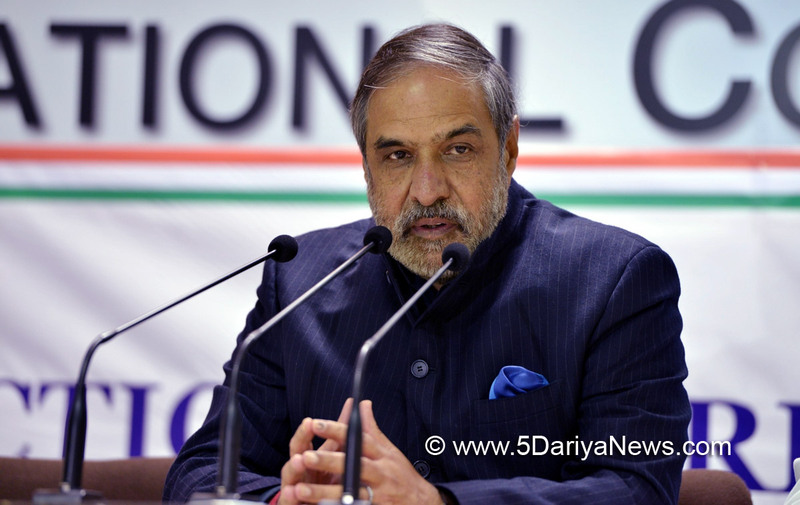 We had expected that the Prime Minister, sensing the gravity of the situation, would leave his 'raj hatt'," Congress leader Anand Sharma said. "But we are disappointed. We have been told that the Prime Minister is not ready to apologise or accept his fault. The opposition has a lot of important issues such as Rafale deal scam, Jay Shah matter and economic slowdown due to demonetization to raise in Parliament as it is the only forum left where we can speak. "But it seems government doesn't want discussion on these issues. Otherwise this is not such a complicated matter that can't be resolved," Sharma added. He said that it was the "duty" of the incumbent Prime Minister to "restore the dignity" of the office of Prime Minister by taking his allegations against his predecessor back.Sharma said that it was the Modi government that gave visa to Khurshid Kasuri and others.Asked why then the Congress MPs participated in the Lok Sabha proceedings on Thursday, Sharma said that they were participating in discussion on the Supplementary Demands for Grants, which is a "constitutional necessity" and that his party "respects the Constitution".Modi, during the campaign for the Gujarat Assembly polls, had claimed that during a meeting at Congress leader Mani Shankar Aiyar's house, the guests including Manmohan Singh, discussed the Gujarat polls with Pakistan's High Commissioner to India and former Pakistani Foreign Minister Khurshid Kasuri.